Earn $8.64 in VIP credit (864 points)What's This? 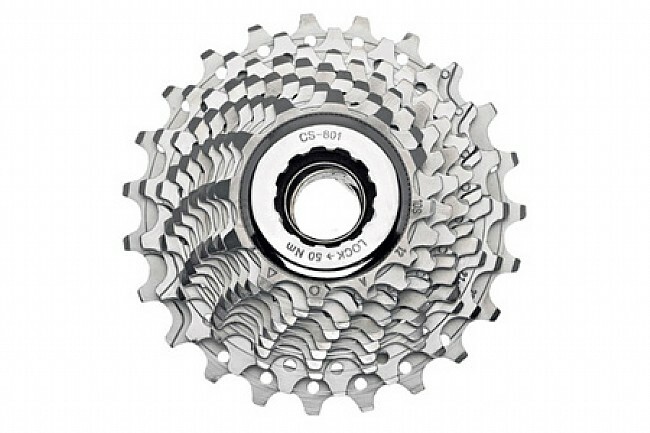 Campagnolo's Veloce 10-speed cassette is durable and economical. Ultra-Drive, compatible with all Campagnolo 10-speed groups. Single sprockets can be replaced and/or removed. Nickel-chromed finish enhances cassette life. 250 grams. If you're not a weight weenie, then Veloce is a good value. Shifting is smooth and quick. BTD had the best price at the time. I like everything about Campy Veloce and BikeTiresDirect prompt service. The price was a third what my local bike shop quoted me.